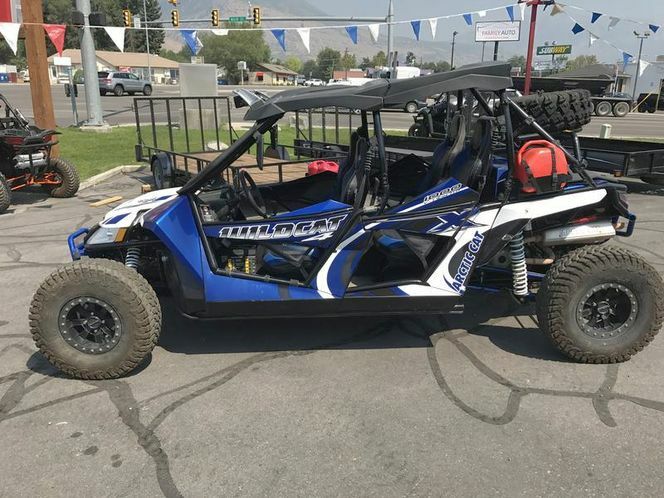 Maxxis Bighorn 2.0 Tires & Aluminum Wheels: Maxxis® Bighorn tires with their wide footprint, excellent shock absorption and large shoulder lugs provide great traction on all types of terrain. In deep sand these tires make you feel right at home. 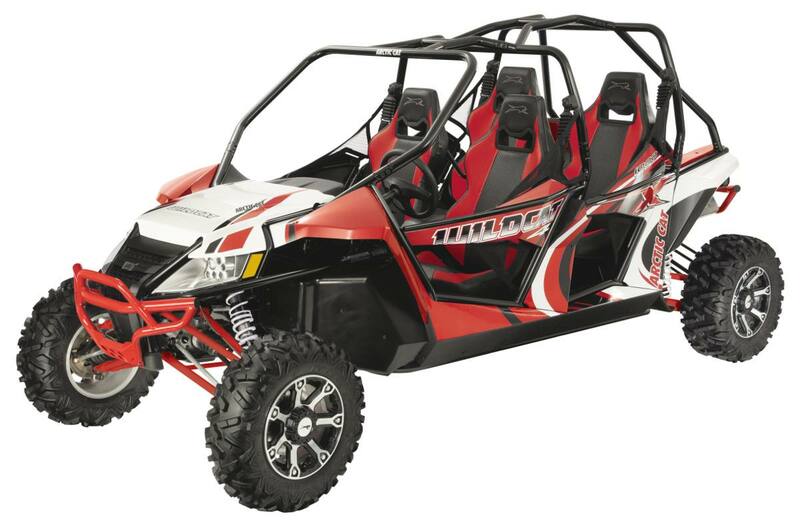 X Package: The Wildcat™ X is one of those machines that has a dramatic affect on people. 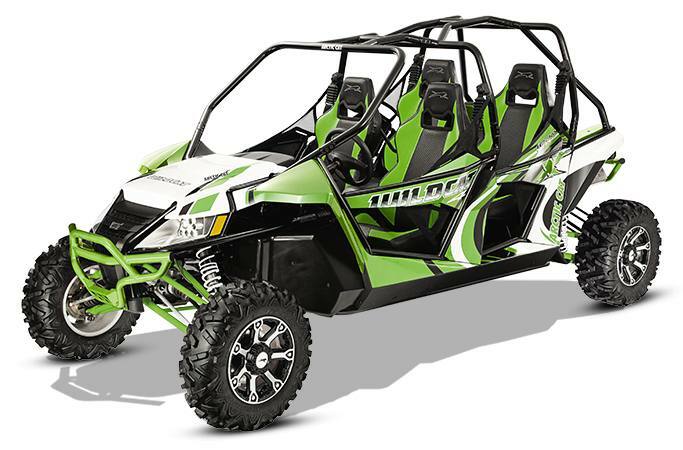 Front and rear aluminum painted bumpers, color-matched seats, custom graphics and Maxxis® Bighorn tires. If one should arrive unexpectedly, don’t make any sudden movements. It is a wild beast after all. FOX Podium Shocks: FOX® Podium shocks with 23-position compression adjustment is something we added to give you even more control in all kinds of terrain. Dial in your desired firmness, up or down, and go. Four Race-Inspired Bucket Seats: The exoskeleton frame houses four high-back bucket seats with three-point seat belts. 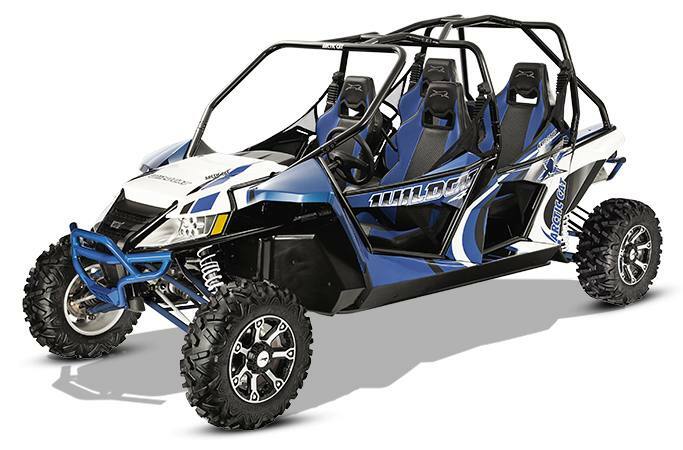 Otherwise this Wildcat has the same suspension, the same handling, and the same power as its two-seat sibling.